LG today made an open version of the webOS platform available to developers and the public. Anyone can download webOS Open Source Edition from LG's web site and use the the code for whatever they wish. WebOS was originally developed by Palm for smartphones and later cultivated by HP before being purchased by LG. LG chiefly uses the platform to power its connected devices, such as television sets and refrigerators. LG said developers can grab the source code as well as tools and guides. Forums are available online to help developers become more familiar with webOS and all its capabilities. The platform is based on Linux and supports open web standards such as HTML5 and CSS3, so it should be fairly easy to work with. Further, LG is working with the Korean government to encourage entrepreneurs and startups to make use of the operating system. LG will solicit webOS-based business proposals and provide logistical and technical support to help startups commercialize webOS products. "As we move from an app-based environment to a web-based one, we believe the true potential of webOS has yet to be seen," concluded LG. Intel today announced a range of efforts in the 5G space, including its timeline for bringing new Intel-powered 5G devices to market. The company says it has been developing 5G technology for some now, including virtualized network functionality and software defined networks. It is relying on the 3GPP 5G NR spec and is working with vendors and partners to create an ecosystem of products to support 5G as it rolls out. One of the primary pieces of the 5G puzzle is Intel's recently announced Xeon D-2100 system-on-a-chip (SoC) processor. It can handle intensive compute and network workloads demanded by 5G at the network edge. Further, Intel has partnered with China's Unigroup Spreadtrum and will pair a Spreadtrum processor with its own XMM 8000 5G modem. Intel expects to see phones packing the combined Spreadtrum/Intel SoC during the second half of 2019. PCs with embedded 5G are on the horizon, too. PC makers Dell, HP, Lenovo, and Microsoft all plan to enable their mobile computers to support 5G connections with the Intel XMM 8060 modem. Intel and its partners will have some concepts on display at the forthcoming Mobile World Congress trade show. They also expect to bring these concepts to market during the second half of 2019. The USB 3.0 Promoter Group this week released the spec for USB 3.2, which has the potential to boost speeds through cables. Specifically, USB 3.2 takes advantage of the multi-lane operation that has been built into existing USB Type-C cables. Now, as long as both devices support USB 3.2, end users should see data transfer speeds double. The Promoter Group says the spec allows for up to two lanes of 5 Gbps or two lanes of 10 Gbps operation. The spec makes use of the existing SuperSpeed USB physical layer, but makes minor updates to the hub specification to address increased speeds in addition to transitions between single- and two-lane operation. The USB 3.2 specification is available to developers only at this time. The USB 3.0 Promoter Group expects to release the final version of the spec in September. Devices with support for USB 3.2 will likely not appear in the market before 2018. It's unclear if or how USB 3.2 might be used with mobile devices. Some of the companies in the USB 3.0 Promoter Group include Apple, HP, Intel, Microsoft, ST Microelectronics, and Texas Instruments. ARM recently announced the Cortex-A75 and Cortex-A55 processor cores, the first to support its DynamIQ technology. ARM first revealed DynamIQ earlier this year, an advancement of its big.LITTLE technology that allows paired sets of high-power and low-power processor cores to tackle specific tasks based on the computing requirements at hand. Most significantly, DynamIQ doesn't require evenly matched pairs; instead, it can handle one high-power processor with seven low-power processors and other combinations to give device makers more granular control over how the cores handle computing operations. ARM claims the Cortex-A75 core improves multicore performance by 50%, providing enough processor power for laptops and even servers, while only requiring the energy from a smartphone. Compared to the A73, the A75 can handle 20% more calculations at clock speeds up to 3.0 GHz and deliver 15% more memory throughput. The A75 is meant for high-intensity use cases, such as 3D gaming and virtual reality. The Cortex-A55 targets a wide range of computing tasks. ARM says the A55 is ten times more scalable than the A53, meaning it can ramp up from ultra low-intensity tasks to super high-intensity tasks. It's also 15% more power efficient and twice as good as handling memory. The company says together, these advancements make the A55 two and a half times more efficient than the A53 when measuring performance-per-milliwatt. This will be a boon for mid-range smartphones. ARM also debuted the new Mali-G72 GPU, which targets virtual reality, gaming, and machine learning on high-end devices. It delivers a 40% improvement in performance when compared to the previous generation GPU. ARM sees the A75, A55, and Mali-G72 complimenting one another in multi-core designs, such as those created by Qualcomm (Snapdragon) or Samsung (Exynos). ARM has made these components available to companies that design processors. It's not clear when the A75 and A55 will be built into future processor designs. HP is jumping back into phones at a completely unexpected time. HP made quite a few iPAQ Windows smartphones back in the day (2004-2009, to be precise.) Then they bought Palm and infamously drove that into the ground. (RIP, webOS.) 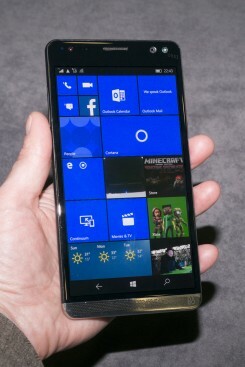 But now HP is jumping back into the fray with yet another Windows smartphone: the Elite x3 with Windows 10. This huge 6-inch phablet sets itself apart with not only Windows 10 with Continuum, but the ability to run old-school x86 Windows apps (not just Windows Universal apps like the Lumias.) It also has serious security features. In other words, this is a phone aimed squarely at serious enterprise customers. We checked it out. Read on for our first impressions. HP today announced the Elite x3, a Windows 10 Mobile handset that can take advantage of Continuum to stand in as a laptop or desktop computer. It is a ruggedized handset that meets mil-spec 810G for protection against abuse and IP67 for protection from water and dust. It is compatible with a 12-inch screen/keyboard accessory to serve as a laptop, or can plug into a monitor, keyboard, and mouse to serve as a full desktop. The Elite x3 is a phablet boasting a 5.96-inch quad HD screen with Gorilla Glass 4. The phone is powered by Qualcomm's Snapdragon 820 processor (2.15 GHz octa-core) with an Adreno 530 GPU and support for Quick Charge 3.0 for rapid charging. The Elite x3 boasts a 16-megapixel main camera at f/2.0 and an 8-megapixel user-facing camera. 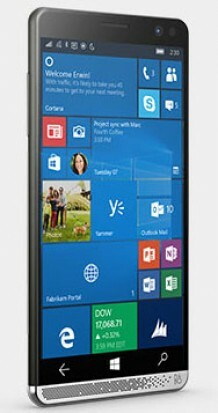 It runs Microsoft's mobile operating system complete with Office and built-in security tools for business users. Other hardware features include 4 GB of RAM, 64 GB of storage, and support for external memory cards; full suite of wireless radios, including LTE, Bluetooth, GPS, and WiFi; as well as a built-in 4,150mAh battery that supports wireless charging. HP didn't say when the Elite x3 will go on sale, nor what it and its accessories may cost. LG will use its webOS platform to let smartphone owners connect directly to their smart TV. The company plans to show off new TV sets at the CES trade show next month. The TVs will feature LG's webOS 3.0 smart TV platform, which has been improved with a handful of new features. A tool called Magic Mobile Connection is the most relevant to smartphone owners. Mobile Magic Connection lets users connect their phone to their TV via the LG TV Plus App. Once connected phone users can access their mobile apps directly on the TV screen. Other features added to the webOS 3.0 platform include Magic Zoom, which zooms in on text without degrading quality, and Magic Remote, which adds buttons for better managing the TV platform. WebOS was originally developed by Palm for its smartphones, was later sold to HP where it was open-sourced, and eventually sold to LG. LG said it will share more details about its webOS 3.0 smart TVs in January. Microsoft has removed the Hey, Cortana catchphrase from the Cortana app for Android devices. Uttering the phrase within earshot of an Android handset could launch Cortana. A bug, however, locked up Google Now on some users' devices an in some instances impeded the ability to make phone calls. A recent update to the Android Cortana removes the Hey, Cortana feature and makes several other tweaks, such as improving calling and messaging actions. Microsoft did not say if or when the feature might return. Cortona is free to download from the Google Play Store. Skype today revealed a new way for people to enliven their messages with what it calls Mojis. Mojis are short video clips pulled from popular movies and television shows such as The Muppets, Despicable Me, Bridesmaids, Pitch Perfect, and Jurassic Park that can be added to conversations. The clips contain famous and oft-used sound bytes or catchphrases from the movies and shows for their entertainment value. Some if the first content providers include Universal Studios, Disney Muppets, and BBC. Skype said it is working with other studios to bulk up its library of Mojis for Skype users. 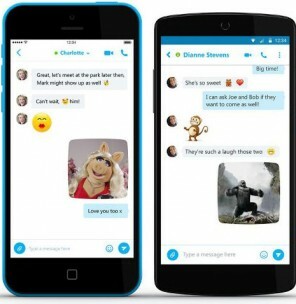 Mojis will be available to the Android, Mac, iOS, and Windows versions of Skype through an app update. HP recently indicated that it will cease all backend support for WebOS devices on January 15. After that time, WebOS device owners will no longer be able to download or update apps, reset or restore their devices, setup new devices, or retrieve lost passwords. According to HP, the web services shut down will not disable existing hardware. HP recommends that WebOS device owners download any apps they may want to keep prior to November 1, 2014. "Shutting down webOS cloud services is part of an orderly end of life program," explained HP. "HP announced the end of WebOS devices over 3 years ago, but the services were kept running to allow customers to continue to have a richer user experience. The user count has dwindled to the point where it is no longer viable to keep the services running." HP acquired WebOS when it bought Palm in 2010. HP killed its Palm hardware business in 2011 and has since open-sourced WebOS. LG eventually purchased WebOS from HP, which it uses in select consumer electronics. Qualcomm today announced that it has purchased a number of patents from HP. The purchase includes about 1,400 patents and patents pending in the U.S., and another 1,000 patents and patents pending outside the U.S. According to Qualcomm, the patents pertain to mobile operating technologies and cover many of the patents HP acquired when it bought Palm. Qualcomm says the acquisition will help it offer "even more value" to its licensees. Neither Qualcomm nor HP put a dollar value on the patents. 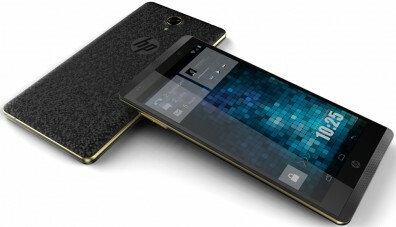 HP today announced that it is re-entering the smartphone market and debuted two new devices that are headed to India. The HP Slate6 VoiceTab and HP Slate7 VoiceTab are large-screened phones that are meant to consolidate the smartphone and tablet experience into a single device. The Slate6 has a 6-inch 720p HD LCD screen and the Slate7 has a 7-inch 1280 x 800 LCD screen. Both offer quad-core processors, voice-calling capabilities, and user-facing stereo speakers. They each include a 2-megapixel user-facing camera and 5-megapixel main camera with flash and 720p HD video capture. The Slates include 16GB of built-in storage and support microSD cards up to 32GB for additional storage. The Slates are equipped with dual SIM card slots, and support 3G networks. They run Android 4.2.2 Jelly Bean. Pricing and availability were not immediately disclosed. HP has been in and out of the smartphone market over the years. A decade ago it sold Compaq-branded Windows Mobile smartphones. It eventually abandoned those and purchased Palm and webOS. It failed to develop new Palm and webOS devices, however, and eventually shuttered Palm and sold webOS to LG. HP hasn't said if it will offer smartphones to U.S. buyers. HP is looking to sell its mobile technology patents in order to improve its financial footing, reports Bloomberg. Most of the patents pertain to webOS, which HP acquired when it bought Palm in 2010. HP killed off Palm's devices in 2011 and eventually open-sourced webOS before selling the operating system to LG. HP has approached several companies that it thinks might be interested in the patents, but those companies were not named by Bloomberg's sources. HP paid $1.2 billion for Palm, but there are no estimates about the value of the remaining patents. HP uses Microsoft's Windows platform and Google's Android platform for its PCs and tablets, respectively. LG today revealed that it has agreed to acquire the webOS operating system from HP for an undisclosed sum. LG said it has no intension to use webOS in mobile phones, as it is happy to use Google's Android mobile operating system in its smartphones. Instead, LG plans to take advantage of webOS in its smart television and other consumer electronics products. WebOS began life in 2009 as then-Palm's new operating system. Palm and webOS were later acquired by HP, which eventually shuttered the operating system and made it open source. WebOS will continue to be developed by LG at its Sunnyvale, Calif., R&D facility. Details about employee transitions, financials, and how the deal affects the open source version of webOS were not immediately made available. HP appears to be seeking developers for its webOS platform, based on job listings that appear on HP's employment web site. Job titles that appear on the HP job board include software engineers, product managers, and many others for both webOS and Enyo (webOS's development framework). Even though HP no longer makes webOS-based hardware, it recently released Open webOS 1.0 to the open source community and continues to support the platform. HP has not provided any specific explanation behind the need for so many webOS-focused employees given the defunct nature of the OS, but the company has admitted recently that it does need to offer a smartphone sooner rather than later. A group of 10 companies today revealed they have formed a patent-pooling collective. Via Licensing, an organization that was spun off from Dolby Laboratories, is meant to gather together LTE-based patents and license them as a large group on behalf of all the members, rather than separately per company. Some of the initial members include AT&T, HP, and Clearwire from the U.S., as well as KDDI, NTT DoCoMo, Telefonica, and Telecom Italia. Speaking to the Wall Street Journal, Via Licensing CEO Roger Ross said that the patents contributed to the pool are all standard essential. "One of the things that we do is give them a conduit to ensure that we are meeting their RAND obligations," he said. The group hopes that by collecting and licensing their patents together, they will be able to avoid patent-based litigation altogether. Some of the most important LTE patent-holding companies have yet to join, such as Qualcomm, Nokia, Samsung, Motorola, and Apple. Via Licensing's Ross expects more companies will join over time. HP today announced in a blog post that it has released an open beta of webOS to developers under an Apache 2.0 license. According to HP, the beta includes two development environments, including one for desktop machines and an embedded version for new mobile hardware. In addition to making the code available, HP is encouraging the open source community to make code contributions through several different avenues offered in the HP developer program. The release also offers a few new features to the platform itself, include new gestures and card stacks. The webOS beta is available for free via the HP developer site. HP committed to making webOS available as an open source platform by September of this year, and has been releasing bits and pieces of code at regular intervals. This is the most complete offering yet. HP today confirmed that it has carved a new niche for its webOS team, now called Gram, which will be responsible for the remnants of webOS and its the Enyo project. Gram is a wholly-owned subsidiary that will be run by HP. Gram will continue to deliver the HTML5-based Enyo code to the open source community, but beyond that not much is know about Gram's aims and goals. Gram will operate from within its current space at HP's campus. Based on the contents of an internal memo that Gram confirmed was legitimate, Gram considers itself to be a new company operating in stealth mode. It is even seeking new talent, despite the fact that HP has gutted most of the former Palm employees. HP purchased Palm in 2010 for $1.2 billion, but killed of webOS smartphones and tablets in August 2011. HP today announced that its Enyo 2 platform has moved out of beta and is now "production ready." Enyo stems from Palm's webOS software, which HP said it would open source in late 2011. HP released Enyo 1, which used webOS code, in January. HP says that Enyo 2 has a bevy of new features, including new Onyx widgets, a new sampler for developers, and a new sign-off process for developers looking to contribute code. HP explains that Enyo allows developers to create cross-platform applications that will run in mobile and desktop browsers from iOS to IE8. HP says that Enyo has received a lot of support form the developer community. "We see a web-centric future in which there aren’t iOS apps, Android apps, Mac apps and Windows apps – there are just apps: apps that let you access your content and get stuff done, wherever you happen to be, on whatever device is handy," said HP. The company concedes that there is still plenty of work to be done, but today's milestone is a notable one for the platform's future. HTC has filed claims against Apple in Florida that allege the iPhone maker is violating two patents that HTC acquired from HP. The first patent pertains to "installation of network services in an embedded network server" and the second pertains to "method and system for central management of a computer network." Between these two patents, HTC says a number of Apple devices violate its intellectual property, including the iPhone, iPad, Mac computers and certain software programs. The countersuit was filed in retaliation for a lawsuit from Apple accusing HTC os similar patent violations. Eastman Kodak on Monday filed a lawsuit in Manhattan against Apple, claiming that the iPhone maker is wrongfully asserting ownership of 10 patents and thereby throwing a wrench into Kodak's efforts to sell those patents. Kodak is accusing Apple of attempting to "delay and derail" its patent sale. In a statement, Kodak said, "Apple's strategy has been to use its substantial cash position to delay as long as possible the payment of royalties to Kodak and to interfere [with the sale]. Apple and FlashPoint (an Apple spin-off that is also claiming ownership) are seeking to benefit from Kodak's difficult financial position, which will be exacerbated if the debtors cannot obtain fair value for the patents." Kodak is requesting that Apple's ownership claims of the patents in question be dismissed. HP has laid off 275 employees from its webOS division. The layoffs follow the company's recent open-sourcing on the webOS platform. HP laid off more than 500 webOS employees last September. "As WebOS continues the transition from making mobile devices to open-source software, it no longer needs many of the engineering and other related positions that it required before," said HP in a statement. "This creates a smaller and more nimble team that is well equipped to deliver an open source WebOS and sustain HP's commitment to the software over the long term." HP announced in August that it would no longer make smartphones and tablets based on webOS, and is currently in the process of making the mobile platform available to the open source community. Jon Rubinstein, former CEO of Palm, has left HP, reports AllThingsD. Rubinstein spearheaded Palm's development of webOS and associated smartphones in its attempt to regain its lost status as a premiere smartphone purveyor. Rubinstein continued to lead the Palm unit within HP once the acquisition took place, but was eventually moved to other roles after HP decided to kill off its smartphone and tablet businesses. Rubinstein has completed a commitment to remain with the company for a specific amount of time. He has no immediate plans. HP today released webOS 2.2.4 for Pre phones. The update improves contacts, calendar and messaging, while improving Skype support and adding the MAP Bluetooth profile. HP today announced the fate of its beleaguered webOS smartphone platform: it will be contributed to the open source community, along with the Enyo application framework. HP said it will remain an active participant in the development and of the operating system, saying that there is plenty of opportunity to improve webOS. HP said that it will make the underlying code of webOS available under an open source license to whomever wants to use it. Henceforth, developers, hardware manufacturers and others can continue to work on webOS and update it as necessary. "webOS is the only platform designed from the ground up to be mobile, cloud-connected and scalable," said Meg Whitman, HP president and chief executive officer in a prepared statement. "By contributing this innovation, HP unleashes the creativity of the open source community to advance a new generation of applications and devices." HP acquired webOS when it bought Palm in 2010. It released several webOS devices, most recently the TouchPad tablet, before deciding in August to cease all further development of smartphones and tablets. HP is considering whether or not it should sell webOS to an unknown suitor for hundreds of millions of dollars, reports Reuters, citing four sources familiar with the matter. HP acquired webOS when it closed its acquisition of Palm in July 2010. It paid $1.2 billion for Palm. HP has been unable to capitalize on the mobile operating system developed by Palm, and in August of this year decided to shutter its webOS-based smartphone and tablet businesses. Reuters reports that several companies are interested in webOS, including Oracle, though probably for the patents that are part of the operating system and not for the platform itself. Bank of America Merrill Lynch is advising HP on the deal. HP and Bank of America declined to comment on Reuters' story. HP's new CEO Meg Whitman announced that the company now intends to retain its PC business. Former HP CEO Leo Apotheker revealed a plan in August that would have jettisoned the company's hardware business in a shift to a services-only company. Whitman's decision reverses that plan, which she said made "no sense" for HP. "I have a lot of confidence we've made the right decision and now we're going to go back to work and go execute," she said. As part of the August strategy shift, HP also said that it intended to kill off its webOS-based smartphone and tablet businesses. HP now says that it is planning to build tablets using the Windows 8 platform from Microsoft rather than webOS. WebOS's future as a smartphone platform, however, remains cloudy. Todd Bradley, the head of HP's PC unit, said that the company will "clearly look at what's the right path forward for webOS." In the past, the company indicated that it might license webOS to other manufacturers or sell it. HP/Palm recently announced a brand new mapping application for its webOS smartphones. HP/Palm has replaced the Google Maps engine behind the map app with Microsoft's Bing Maps (same version as on the TouchPad tablet). HP/Palm says the revised application should show significant performance improvements on the Pre, Pixi, Pre2, and Veer. Other new features of the app include map and satellite views; driving, walking, and transit directions; and access to recent and bookmarked locations. The application is a free download from the App Catalog. HP today announced that it has replaced CEO Leo Apotheker with former eBay CEO Meg Whitman. Apotheker is vacating his role as president, CEO, and director effective immediately. Apotheker served as HP's CEO for just 11 months. Under his leadership, HP decided to kill off its webOS smartphone and tablet business. In a statement, HP said, "We are at a critical moment and we need renewed leadership to successfully implement our strategy and take advantage of the market opportunities ahead. Meg is a technology visionary with a proven track record of execution. She is a strong communicator who is customer focused with deep leadership capabilities. Furthermore, as a member of HP’s board of directors for the past eight months, Meg has a solid understanding of our products and markets." According to sources cited by Bloomberg, HP's board of directors is considering plans to rid itself of Chief Executive Officer Leo Apotheker, who's helmed the company for less than a year, and replace him with former eBay CEO Meg Whitman. HP has had a tumultuous year under Apotheker's leadership, and recently killed off its smartphone and tablet businesses. HP also recently announced plans to sell off its PC/hardware business and focus more on software and services, similar to IBM. HP's strategic changes have been met with investor ire. It is unclear if any of HP's recent strategic decisions might be reversed under new leadership. HP this week began the process of laying off more than 500 former Palm employees as it winds down the webOS business unit. HP confirmed today that it has started workforce reductions in what's left of its Palm smartphone business. Layoffs commenced today and more than 500 are expected to lose their jobs. "As communicated on August 18, HP will discontinue the development of webOS devices within the fourth quarter of fiscal year 2011, which ends October 31, 2011, said HP to AllThingsD. "As part of this decision, the webOS GBU is undergoing a reduction in workforce. Today's actions are part of this initiative. During this time, we stand by our commitment to our webOS customers and will work to ensure that support and service for customers are not adversely affected. HP is exploring ways to leverage webOS software." HP has said that it is considering licensing deals and possibly even an outright sale of webOS, though no solid decisions had been made. HP Confirms No Pre 3 for U.S.
HP has officially said that the Pre 3, first introduced in February, will not be sold in the U.S. at all. It will be sold unlocked in the the U.K. and France only for approximately $75. It can roam on the EDGE networks of both AT&T and T-Mobile, but doesn't support full 3G for either carrier. Speaking in an interview with BusinessWeek, HP senior vice president Stephen DeWitt said that HP will continue to support the platform. "The webOS is not dead. We're going to continue to evolve it, update, and support it. We stand by it," he said. HP announced on Thursday plans to drop its smartphone and tablet businesses entirely, killing off products such as the Pre 3 and TouchPad. While webOS-based smartphones will no longer be developed by HP, DeWitt indicated that it is going to use webOS for other purposes. "The whole world isn't just about tablets and phones. There are going to be appliances of so many different sizes and shapes in the future that are going to require a human interface for data." Earlier this year, HP said it hoped to put webOS in devices such as laptops and printers. DeWitt didn't specify exactly how its existing webOS services — such as the App Catalog — will be managed over the coming months. He reiterated that he company is still weighing options for the future of webOS. Licensing it to other hardware makers or selling it outright are still on the table. In the mean time, owners of webOS-based devices don't have to worry about support for their platform drying up over night. HP plans to exit the smartphone and tablet businesses and will cease creating new devices based on webOS, which it acquired last year when it bought Palm. HP said in a statment, "HP plans to announce that it will discontinue operations for webOS devices, specifically the TouchPad and webOS phones. HP will continue to explore options to optimize the value of webOS software going forward." HP is also exploring the sale of its Personal Systems Group, which is responsible for its consumer and business computing devices. Palm debuted the first webOS smartphone, the Pre, in January 2009. It reached the market in June of that year. It was followed by several more webOS-based phones, including the Pixi, Pre Plus, and Pre 2. HP announced the Pre 3 earlier this year, but today's news suggests that it will never be sold. webOS was masterminded by Palm CEO Jon Rubinstein, brought in from Apple to revive Palm's flagging smartphone business. webOS was a complete break from Palm's previous mobile platforms. HP today announced a staffing change at the internal unit responsible for webOS. The former Palm entity is now being referred to as the webOS Global Business Unit. In addition to the name change, former Palm and HP webOS head Jon Rubinstein has been reassigned to a senior vice president role of product innovation within the Personal Systems Group at HP. At the same time, HP appointed Stephen DeWitt as senior vice president and general manager of its webOS global business unit. Rubinstein was brought in to help revive Palm and was behind the development of webOS and Palm/HP devices such as the Pre, Pixi, and Veer.